A Global Project Exports company engaged in Engineering, Procurement and Construction (Project Exports) projects as well as supply projects, Jaguar Overseas Limited takes pride in possessing expertise in the fields like Power, Agriculture, Industrial Plant, Infrastructure, Renewable Energy etc. Recognised as an ISO certified company, our operations span across Africa and S.E. Asia. Keeping the value system as a perfect blend of 3T’s - Truthfulness, Transparency and Trust – in our work culture, we have earned respect and commitment from our customers. We augment the growth of both our customers and employees by resolutely adhering to our quality and safety policies. With an intense commitment to the sustainable development of our planet, we have drafted an Environment policy clearly outlining our roles and responsibilities towards our beautiful Earth. Since the time our journey has begun, a journey towards global leadership, business excellence, and sustainable, equitable development. From that humble beginning, we have come a long way. Today, we are a force to reckon with in Project Exports industry. Besides successful execution of several projects to our credit, we are also considered a prominent exporter of world class products to over 12 countries worldwide. We attribute our success to our strong, long-standing culture of striving towards technological & business excellence. Our steadfast focus on fostering a culture of cutting-edge innovations has improved lives of our customers and our employees across the world. Today, we can say with confidence that we, as a group, have played a pivotal role in advances in infrastructure design and engineering. Not the ones to rest on our laurels however, we do recognize that to truly evolve as global players, we need to raise the bar and build an ever stronger focus on innovation, quality, delivery of our promise and superior service. Yes, we have come a long way since we took our first step but we know there are miles to go and promises to keep. As we look ahead and chart our road map for the future, we see exciting possibilities amidst challenges. We see a clear vision of where we want to be. Our priorities are clearly defined. Our strategies are well aligned with our vision. We see ourselves as a competent Project Exports Company specializing in complex constructions, ranging from power generation to oil & gas. As we take on the challenging times and move towards realizing our vision, we stay steadfastly committed to fostering a culture of high integrity and to our eternal quest for excellence and sustainable development - where development of one section does not preclude development of another. We promise to pursue our vision with relentless discipline and energy and invite you to be a part of our journey towards a better tomorrow… a tomorrow that’s better for our clients, our employees, our society and our world! 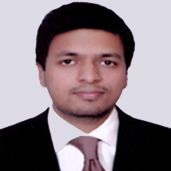 Mr. Deepak Mathur is a Graduate Mechanical Engineer and an MBA (Finance & Marketing) from FMS, University of Delhi. 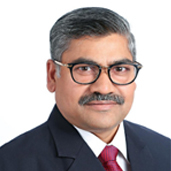 He has a proven track record of working as Head /VP/ CXO/ CEO/Director Level for large corporate house (viz. Reliance ADA Group), Government Utilities and international organizations. Among his list of accomplishment are the development of 3960 MW Sasan Ultra Mega Power Project as CEO (Reliance) Sasan Power Limited & its Coal Mines (25 MTPA), 3X660 MW Sasan UMPP Expansion, and 3960 MW Chitarangi Power Project. In 2012, he has been Honoured with “Exemplary Leader Award” in the “3rd Asia’s Best Employer Brand Award” at Singapore, hosted by Employer Branding Institute, World HRD Congress with CMO Asia as a Strategic Partner & Endorsed by Asian Confederation of Businesses. 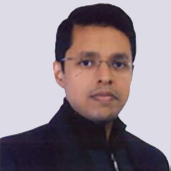 Mr. Manas Agarwal is currently Head of Marketing, Strategy & Operations. Since the completion of his Master’s Degree from the University of Nottingham, UK, he has been actively involved in the family business. Over the years, he has gained insights and experience in various aspects of International Business, Finance and Strategy, which primarily governs the business of JOL and has taken the company towards new areas of growth. He is also an active member of Infrastructure Committees and Conferences organized by CII, FICCI & PHD. Mr. Vardaan Agarwal is a management graduate and has pursued MBA in Marketing & Operations. He has enriching experience in Oil & Gas Sector along with strong acumen in executing infrastructure projects coupled with rich international trading expertise. He presently is also a member of committee on ‘Alternative Sources of Energy’ with Petroleum Federation of India (PetroFed). To be among the most preferred Engineering - Procurement and Construction (Project Exports) companies through innovative engineering and timely delivery of services to our clients complete satisfaction. To expand our business horizon to provide world class services. To increase our penetration into the developing markets of the world. To make our clients successful while creating stakeholders value with uncompromising quality and safety standards. To foster a culture of trust and mutual concern thus making us an employer of choice.